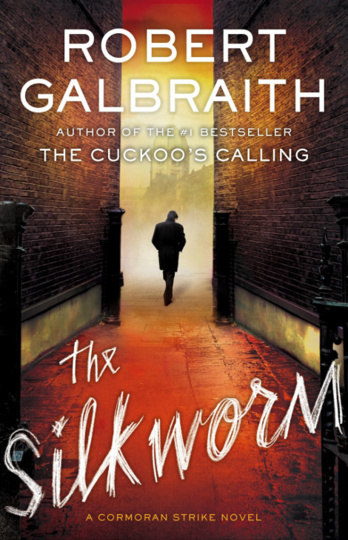 This, the second book in J.K. Rowlings’s new series, again stars private detective Cormoran Strike. Eight months after solving the Lula Landry murder case (and making asses out of the police), business is rolling in. Strike no longer sleeps in his office but now has a real bed in an attic flat above his office. Okay, still humble, but it suits the gruff bachelor just fine. Most of his clients are suspicious boyfriends and divorcees looking to serve their own personal gain in some way. One day, though, a mousy middle-aged woman with no money to speak of arrives unannounced in Strike’s office and asks him to find her missing husband. Strike is moved by the purity of her request; she’s not after money or revenge, she just wants her husband to come home. She believes him to just be in hiding, as the egotistical writer is sometimes wont to do. And so begins an investigation the likes of which Strike has never seen, and when the missing writer is found dead, the victim of what appears to be an elaborately carried out, almost ceremonial murder, the stakes become much higher. The police quickly settle on the writer’s widow as his murderer, and Strike’s determination to find the real killer is hampered by the police and the fact that he actually has no real standing to continue an investigation into a matter which the police has decided is closed. Besides, the police are none too happy with Strike after he showed them up in the well-publicized Landry case – they’re not about to let that happen again. Meanwhile, Strike’s assistant Robin is determined to become more than just Strike’s secretary. Detective work is her calling, she feels – but the very fact that she works for Strike is causing a great deal of friction between her and her fiance, Matthew. This friction is giving Robin pause about whether marrying Matthew is what she should do after all. She laments the fact that Strike doesn’t appear to see her real potential. Although I enjoyed The Cuckoo’s Calling, I liked this book more. I think Rowling is finding her voice as a murder mystery writer, and this story seemed a little more honed than the last. She introduces the reader to a cast of suspects who each very well could be the killer, leaving the reader guessing. As with The Cuckoo’s Calling, I did not expect the killer to be who the killer was. Although the murdered, when revealed, suddenly seems a little like a ridiculous caricature, it still made for a satisfying surprise. Strike and Robin have definitely grown on me – I enjoyed the developing dynamics of their relationship. I’m looking forward to the next whodunnit Rowling has up her sleeve.